It’s Hispanic Heritage Month, the perfect time to celebrate all the amazing Hispanic and Latinx Americans who have made our world a better place. As part of this celebration, we’ve compiled some of our favorite Hispanic-owned vegan restaurants. The entrepreneurs behind these incredible eateries are making plant-based versions of traditional Latin American foods more accessible—showing customers just how delicious vegan food can be and that we really can enjoy all our favorite flavors without harming animals. This family-run vegan restaurant serves savory plant-based versions of traditional Mexican dishes to the Dallas area. Based in San Diego, El Veganito brings vegan Mexican food to farmers markets. Be on the lookout for their vegan brunch pop-ups! Dedicated to justice and inspired to protect her family’s health, founder and chef Jocelyn Ramirez started Todo Verde, a catering business showcasing healthy Latin America-inspired vegan food in the Los Angeles area. Delicias Bakery & Some in Los Angeles boasts vegan pan dulce, aguas frescas, and even their own vegan queso fresco! The first vegan Cuban restaurant, Equelecua Café is located near the Los Angeles airport and spotlights plant-based versions of classic Cuban recipes like arroz con pollo (rice with chicken) and ropa vieja (shredded beef). This Latin restaurant has two locations in New York that feature plant-based burritos, flautas, and arepas. Plant-based pan dulce is here to stay! Vegan by Victoria’s, located in Santa Ana, is bringing healthy treats to the Hispanic community. We love Plant Food for People. This all-vegan food truck serves up jackfruit-based tacos, tortas, nachos, and more! Located in Portland, Epif offers dishes from the Andes region of South America. This Los Angeles-based pop-up and catering business specializes in veganized Cuban dishes like guava cheese strudels, plantain picadillo nachos, and papa rellena. In an effort to celebrate her Puerto Rican heritage, Nicole Marquis opened Bar Bombón in Philadelphia. The Latin-fusion menu highlights whole plant foods like grains and veggies. Inspired to try a plant-based diet? 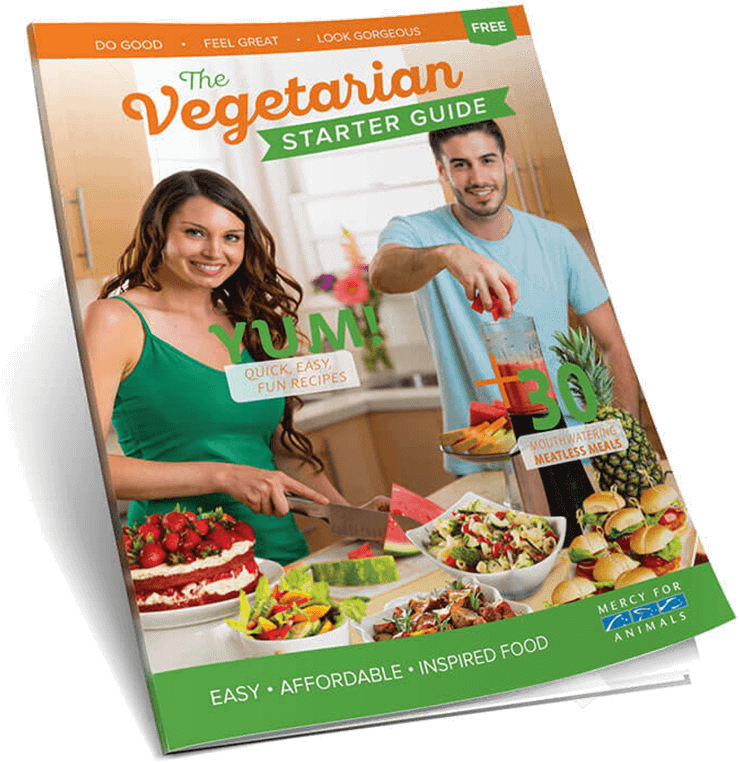 You can get delicious vegan recipes, easy meal ideas, and advice for making the switch by ordering a FREE Vegetarian Starter Guide today.